When I went to the Boston College Career Fair, I walked into the large gymnasium and was immediately overwhelmed by the sea of black suits! I first found AlphaSights when I saw Hadley Riegel, a VP on the client service team, dressed in a bright orange dress. Hadley distinguished herself and I immediately approached her to learn more. 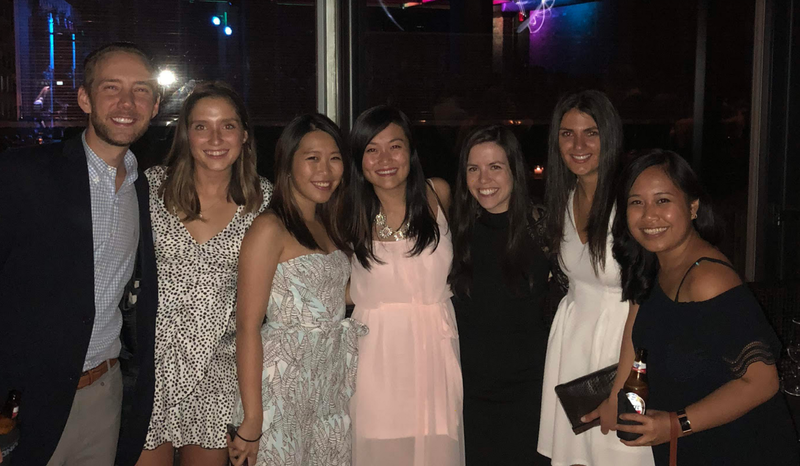 It became clear that just as Hadley had set herself apart in the career fair, AlphaSights’ internship program sets itself apart from other internships. AlphaSights differentiates itself by providing employees with more responsibility than they think they’re ready for, earlier than when they thought they’d get it. We believe that if you have capability, drive, and potential, years of experience shouldn’t prevent you from taking on a new challenge. Having these responsibilities early in one’s career gives them a strong repertoire of professional stories, which can be used to display their expertise to their networks. At AlphaSights, the Professional Development team is responsible for the employee lifecycle from the time a new employee enters the company to the time they exit. This includes training and onboarding for both interns and new joiners, as well as the the internship program. 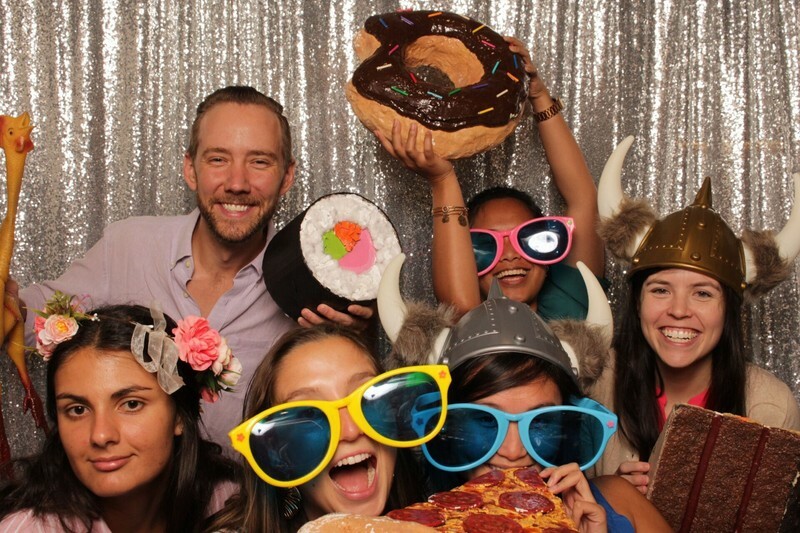 PD team photo booth pic at the Intern Offer Celebration! I’ve been co-leading the internship program, delivering a total of 10 feedback and career services trainings, and creating a talent philosophy for AlphaSights, which outlines what it’s like to work here and help those who receive an offer, decide if AlphaSights is the right fit. These three projects that I’ve been working on exemplify the autonomy and responsibility I received this summer. While I was excited to receive so much autonomy and really be able to make a difference, I originally found myself in a state of quandary at how to successfully accomplish my new responsibilities. Never before had I delivered a training session to over sixty people or met with the CEO of our company to propose a new idea I implemented. My ambition and AlphaSights’ one-on-one training model helped me succeed this summer. The one-on-one training model supports all new joiners to achieve the challenging responsibility they’re given. Professional Development prepares trainers to be fully equipped to train a new joiner upon their arrival at AlphaSights. Once new joiners start, there are weekly sessions with either their trainer or manager, discussing their development of hard and soft skills. These weekly developmental check-ins helped me succeed at the ambitious tasks I was given by allowing me to consider my trainer’s perspective and expertise. Feedback is ingrained in AlphaSights’ culture. While I’m helping to springboard my coworkers’ careers, I’m simultaneously doing the same for mine. 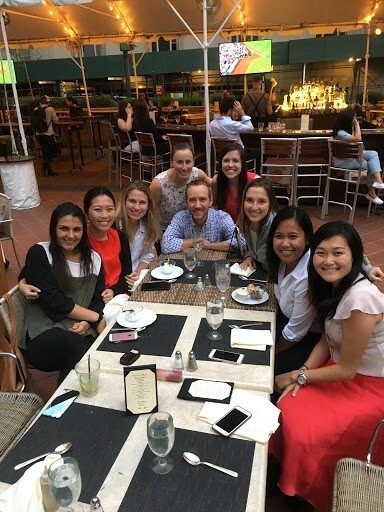 I was able to help our interns accelerate their careers by making them stronger performers when they are faced with new responsibilities and experiences. They learned how to share their perspective with a coworker and how to take a coworker’s advice and put it into action in real time. Meanwhile, I accelerated my own career by receiving rewarding responsibilities and experiences that I can use to build professional stories for future interviews. The responsibility that AlphaSights gives its employees makes professional development work so rewarding. As an internal structural function, Professional Development’s clients are the AlphaSights employees. The PD function ensures that employees feel confident in their ability to take on these responsibilities earlier than their peers. We provide sessions and trainings to assist employees with building skills that they can eventually use to strongly articulate their development stories in future interviews. Working on PD is great because as we support our internal clients’ development, we’re also simultaneously accelerating our own careers. Jenny Goersch joined AlphaSights as a summer associate on the Professional Development team in Summer of 2018 and will return as a full-time associate on PD in 2019.